Vitamin D is a fat-soluble vitamin. Fat-soluble vitamins are stored in the body’s fatty tissue. It is naturally present in very few foods and available as a dietary supplement. It is also produced endogenously when ultraviolet rays from sunlight which strike the skin and trigger vitamin D synthesis. 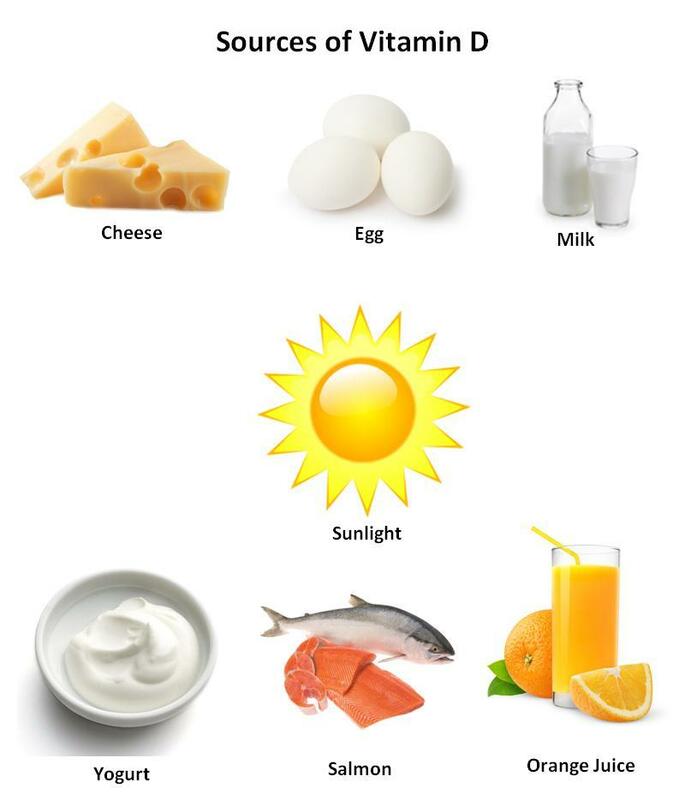 Vitamin D helps the body absorb calcium. Calcium and phosphate are two minerals that are essential for normal bone formation. Let’s see amazing health benefits of Vitamin D.
Foods rich in vitamin D include fish such as salmon and tuna, eggs, fortified milk, and cod liver oil. The sunlight also adds to the body’s daily production of vitamin D. Fresh fruits and vegetables are also good sources. Good sources include dairy products and breakfast cereal. Also known as the sunshine vitamin, as it can be produced in the body with mild sun exposure or consumed in food or supplements. Vitamin D is important for healthy bones. This vitamin is important for normal growth and development of bones and teeth, as well as improved resistance against certain diseases. Vitamin D is to maintain normal blood levels of calcium and phosphorus. It helps the body absorb calcium, which forms and maintains strong bones. Vitamin D provides calcium balance in the body that prevents osteoporosis or arthritis. Vitamin D reduces stress and tension, relieves body aches and pains, helps fight depression, improves overall skin health by reducing wrinkles, makes skin soft, strong, and smooth, and improves cardiovascular strength by providing a protective lining for the blood vessel. defenses to fight infectious disease.